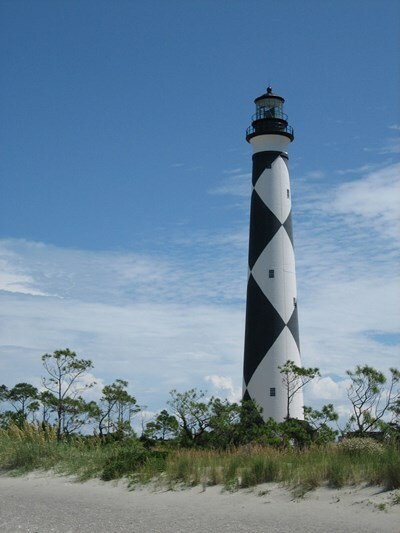 The Cape Lookout Lighthouse is a 163-foot high lighthouse located on the Southern Outer Banks of North Carolina. It flashes every 15 seconds and is visible at least 12 miles out to sea and up to 19 miles. The Cape Lookout Light is one of the very few lighthouses that operate during the day. It became fully automated in 1950. This description uses material from the Wikipedia article on Cape Lookout Lighthouse and is licensed under the Creative Commons Attribution-ShareAlike License (view authors).